Plumbing Heating Air Conditioning Services Ltd - Central Heating Engineer, Plumber based in Coalville, Leicestershire. 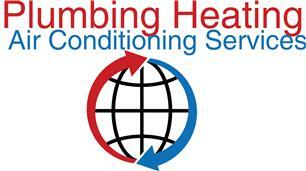 Plumbing Heating Air Conditioning Services Ltd was established in 2009. A plumbing company by trade with knowledge and experience. We specialise in design, installation, servicing and maintenance of Plumbing, Heating Systems. The combined experience, knowledge and sheer wealth of expertise enable us to develop and implement integrated solutions for complex and demanding mechanical engineering installations. Our strategy is independently monitored for quality, service, and competitiveness. Client satisfaction is of paramount importance and value. Our reputation is reflected by high level of client satisfaction and repeat business. Whatever the nature of your circumstance, we are here to help and put you at ease and back on track in no time. We have what it takes to solve and foresee a solution. We are a paradigm of excellence and success.